With everything that happened with the economy in the past several years people are staying away from ARMs because of the perceived risk. 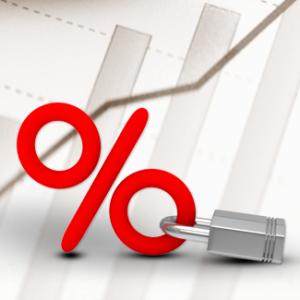 In a recent article titled “Don’t take out a fixed-rate mortgage” that appeared in the Wall Street Journal the author makes a point that for a very large percent of cases the expense of having a guaranteed rate for 30 years is not justified. As with any financial instrument, one has to evaluate risk vs. return or, in this case vs. cost. Since the referenced article does a pretty good job of it, all I want to do here is to give you all the details of how ARMs work. rate for the first 3 years (that’s the 3) and then, starting on the 3rd anniversary the rate changes once per year (that’s the 1). You can guess that a 5/1 ARM has a fixed rate for the first 5 years and so on. Amortization period for these loans is almost always 30 years. The longer the initial fixed period, the closer the rate will be to the 30-yr fixed rate. An important question is what controls how the rate changes after the fixed period. There are several factors that determine the answer: index that the rate is tied to and margin that gets added to that index. Index is a published value that is always changing with the economy and markets; and margin is a number that does never changes for the life of a loan. Index examples: LIBOR (London Interbank Offered Rate), 6-month Treasury Bill, 1-year Constant Maturity Treasury, etc. There are also caps that determine how much the rate will change. Lifetime cap of 5% means that if the initial rate is 3%, it will never go above 8%. If the adjustment cap is 2%, no matter how much the market has moved up, the annual adjustment will not exceed that number.